Thus, in spite of our own convictions, here follows the anticipation of a compromise solution, which could bring together the characteristics of a reform of the euro “acceptable” by all (maintaining the euro while strengthening the autonomy of the member states), and acceptable from the point of view of our national leaders, the only masters on board this ungovernable Europe. In our November article, we mentioned the case of the German reunification: despite a great disparity between East and West, the dream of a Deutsche Mark was made possible by a sufficiently powerful political will joined by a strong redistribution. However, these two conditions are currently totally absent in the eurozone (ironically, one of the most reluctant countries to increase solidarity seems to be Germany, who has experimented with the need for massive redistribution and who, back then, has seen that it was not even enough to completely bridge the gap between East and West). 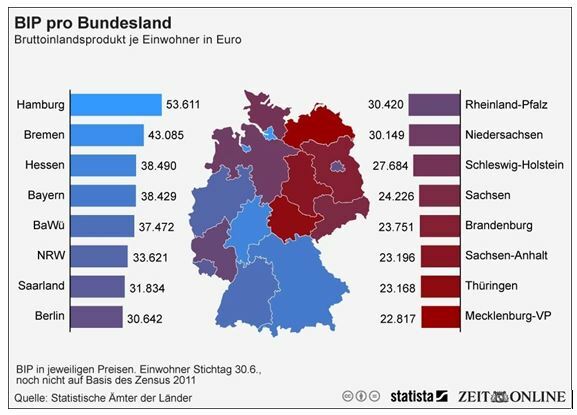 Figure 1 – GDP per inhabitant in different German Länders, 2011. Source: Die Zeit. The designers of the euro currency imagined that the latter would force political union, that it would be a crucial step towards strengthening a solidarity-based Europe. Almost twenty years after the introduction of the euro and in the light of the Greek crisis and all the other European psychodramas, there are unfortunately no signs of such a thing. Moreover, it is still not the case and it will not be in the near future either, given the exclusively national priorities promoted by most of our leaders … This poses a real problem, since the euro is designed to function only in a highly-integrated zone. 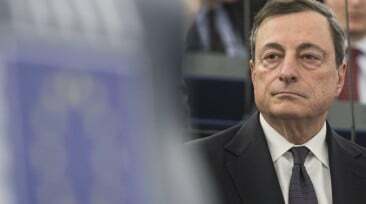 For example, the eurozone summit, which normally takes place twice a year, has not had a meeting since July 12, 2015, and has fully delegated the governance of the eurozone to the ECB which advances alone, without any political mandate, on the sole legitimacy granted to it by the treaties in terms of inflation rate (to be maintained at around 2%). The criticism is known: the competitiveness of the eurozone countries have diverged too much since the introduction of the euro, but they cannot adjust their exchange rate to rebalance. This would require a significant redistribution of the most competitive countries to compensate for their deficit balance; but that redistribution is non-existent since no fiscal union or common budget exists. 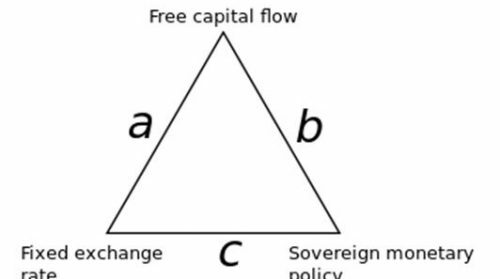 On the other hand, if we wanted to replace this redistribution by some good monetary policy, we would run up against the famous “impossible trinity” which shows that it is impossible to reconcile everything: with the “fixed exchange rate regime” imposed by the euro, and with the free mobility of capital within the zone, countries cannot possibly adopt a monetary policy adapted to their situation. Figure 2 – The impossible Trinity of Mundell: the three vertices are impossible simultaneously. Source: Wikipedia. This disparity between the countries of the eurozone, or rather their divergent trajectories due to a lack of political union, is indeed a real problem in designing the euro, unless a redistribution occurs within the monetary union. The so-called North-South divide in Europe is mirrored in the monetary policy habits of the European countries: before adopting the Maastricht convergence criteria, devaluations are frequent in the South in order to restore competitiveness to the economy obtained by the North more readily through “labour market reforms” (aka wage moderation)… Don’t miss our entire report in the latest GEAB bulletin / No 114, April 2017.